Descanso Gardens is a valuable resource for educators seeking to facilitate meaningful nature experiences. Serving over 14,000 participants each year from all over Los Angeles County and beyond, we provide opportunities for students to discover and connect with the natural world through close observation, self-guided exploration, and hands-on learning. 1. Please note that all docent and self-guided field trips for the 2018-2019 school year are now full. Self-guided field trips allow teachers to structure and lead the educational experience. Offered September–June, Monday through Friday, at scheduled times beginning at 10am. Minimum of 10 students per day, maximum of 120 students per day. Feel free to download and print our Self-Guided Habitat Student Journal and Teacher/Chaperone Guide and bring them with you to the gardens. These hour-long guided tours are offered October–May, on Tuesday, Wednesday, and Thursday at 9:30 or 10am. Minimum of 10 students per day, maximum of 60 students per day (unless otherwise noted). Seasonal Garden Exploration, Kindergarten–8th grade: Students explore plant and animal life through multi-sensory garden expeditions. Tour focus changes seasonally and include plant life cycles, habitat explorations and more. 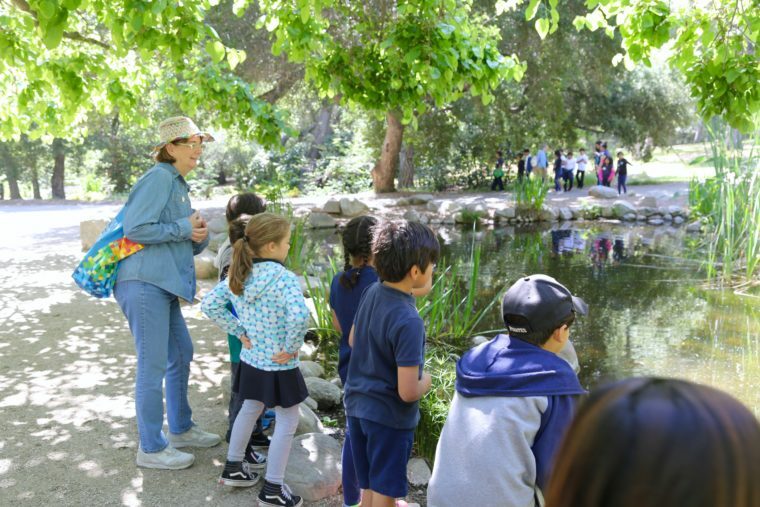 Habitat Detectives, Kindergarten–2nd grade: Through hands-on activities, close observation, and play, students discover how Descanso is an important habitat for many animals. Spring Discoveries, Kindergarten–2nd grade: Students use their observational skills and movement to explore plant and animal life cycles. Available March-May. Interactions & Adaptations, 3rd–5th grade: Focusing on California natives, student scientists investigate how plant adaptations support the balance of nature, and explore the many ways plants and animals depend on each other to survive. Seeds of Wonder, ages 3–5: Students participate in hands-on, garden-themed activities that nurture wonder through experience, observations, discovery and play. Offered Tuesdays in March and Fridays in April; 10am start time; maximum 48 students. 2. Reservations for the 2018-2019 school year are now closed. Please return on August 1, 2019 to reserve a visit for the 2019–2020 school year. Spend the day at Descanso Gardens exploring nature with your own focus and at your own pace. These self-guided visits for homeschool students are available four times throughout the 2018-19 school year. Free of charge; advance registration is required. The Harvest Garden encourages curiosity and discovery of the natural world by providing diverse communities the therapeutic benefits of gardening. Descanso Gardens partners with a variety of schools and organizations to bring these communities to the Harvest Garden. A Day of Discovery at Descanso Gardens is a collaboration with the LAUSD Beyond the Bell Office of Outdoor and Environmental Education. In this program students investigate several of California’s native habitats; explore relationships between living and non-living things, and record observations in journals provided. For more information, click here. A collaboration between Pasadena Unified School District, the Pasadena Educational Foundation, and local cultural institutions, My Masterpieces provides community-based arts learning opportunities for students in Pasadena, Altadena, and Sierra Madre. 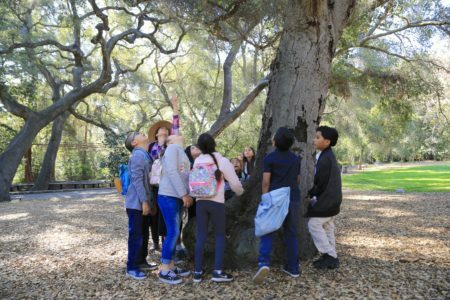 Descanso Gardens offers a 3rd grade program combining nature exploration and artmaking to build on students’ creativity, visual literacy, and observational skills. For more information, click here.